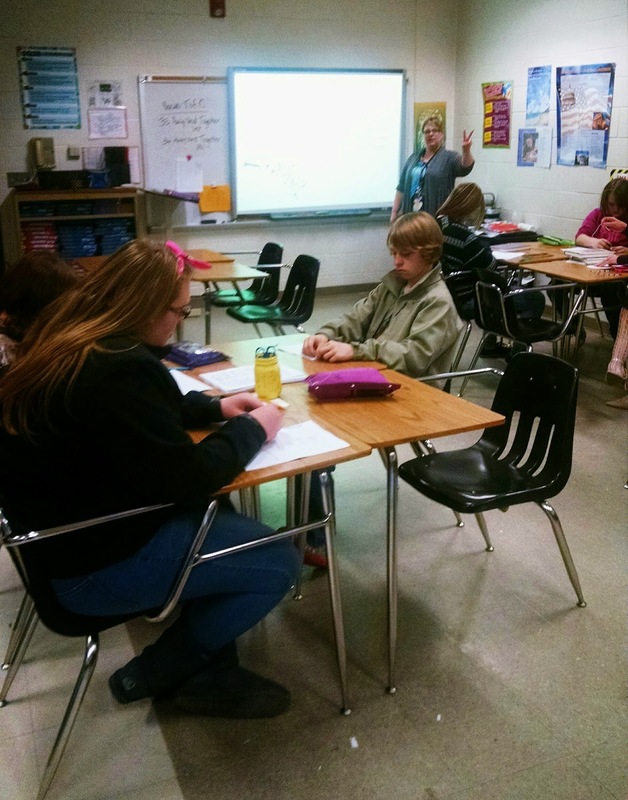 Students stay engaged and enthusiastic when they are inspired! 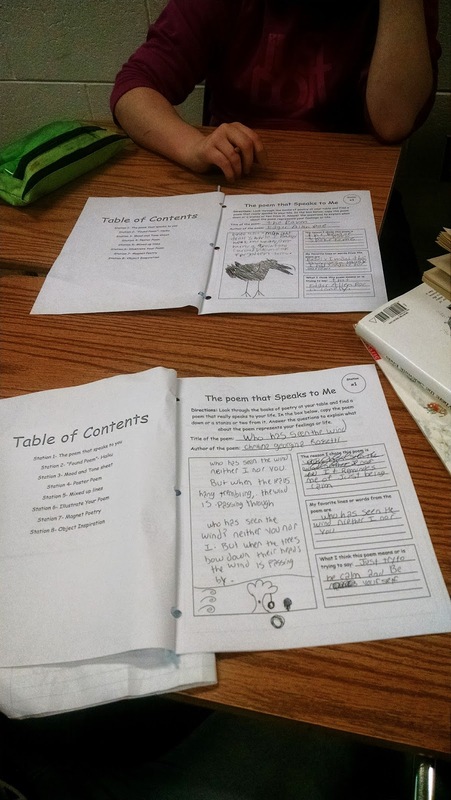 We have used these poetry stations in seventh and eighth grades with general education, special education, and advanced students. 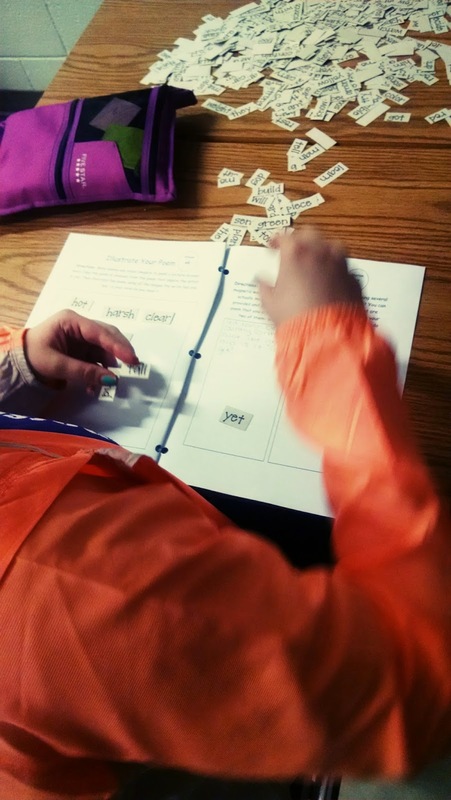 The best part of implementing these stations was seeing how students cooperated and collaborated to assist each other as they composed, analyzed, and illustrated. 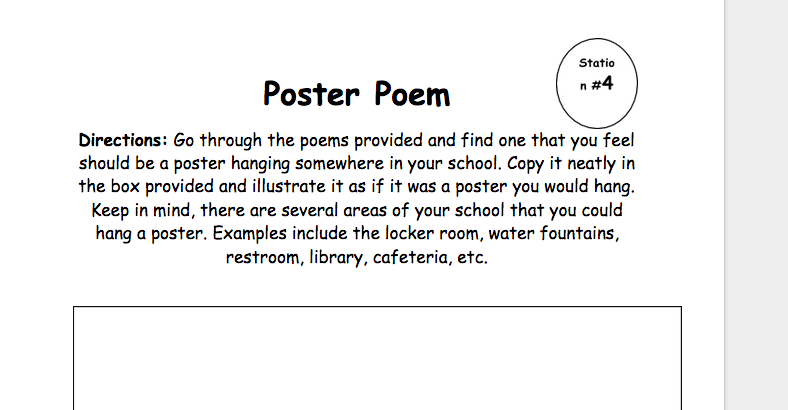 Before beginning stations, we showed the following Poetry Presentation and had students complete guided (fill-in) notes. 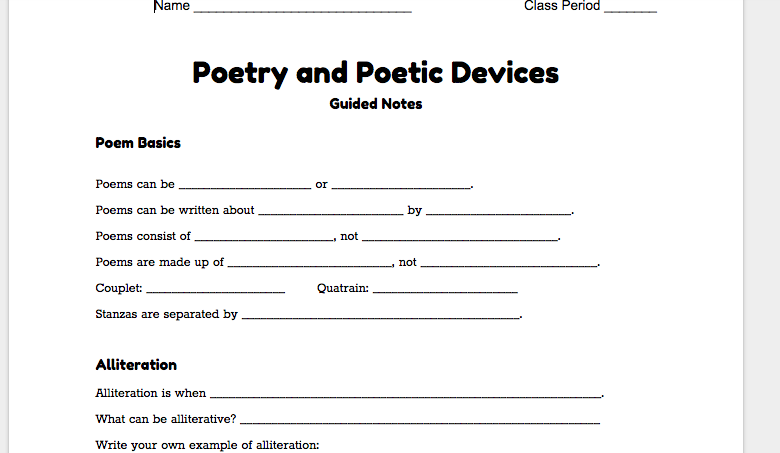 Click for Poetry Presentation Guided Notes. 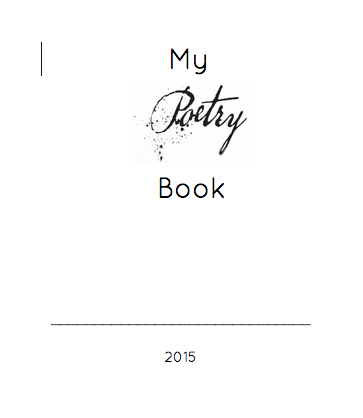 Station handouts can be downloaded by clicking on the "My Poetry Book" link. 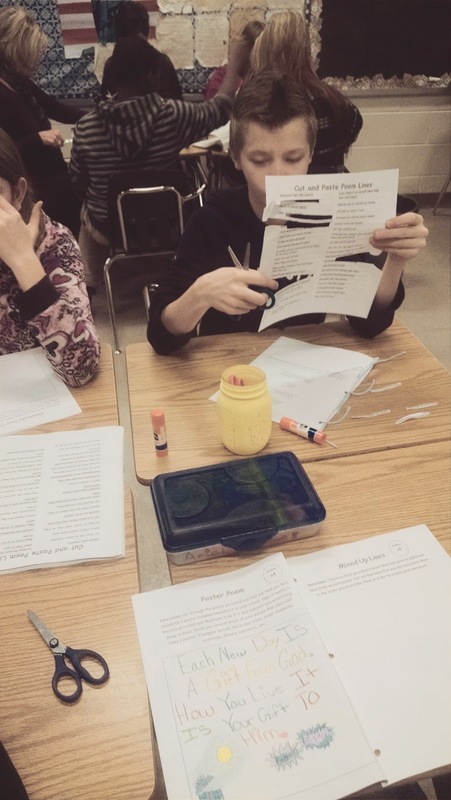 To make this station a little less time-consuming, we cut out headlines and articles for students to choose from. 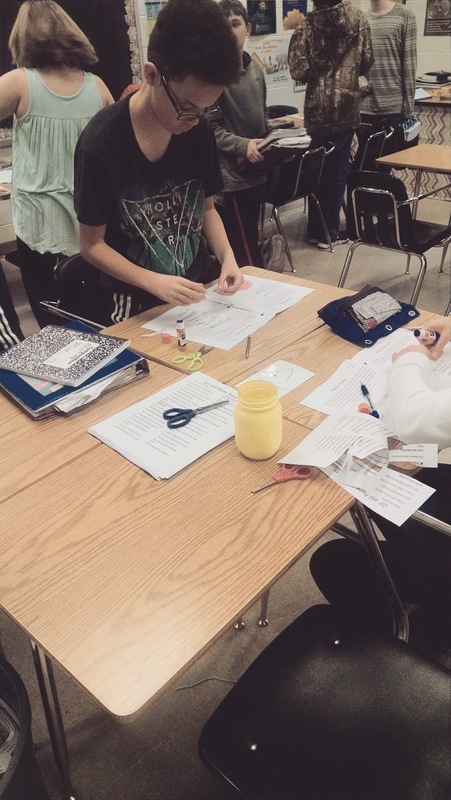 You will need magazines, scissors, tape, and/or glue. 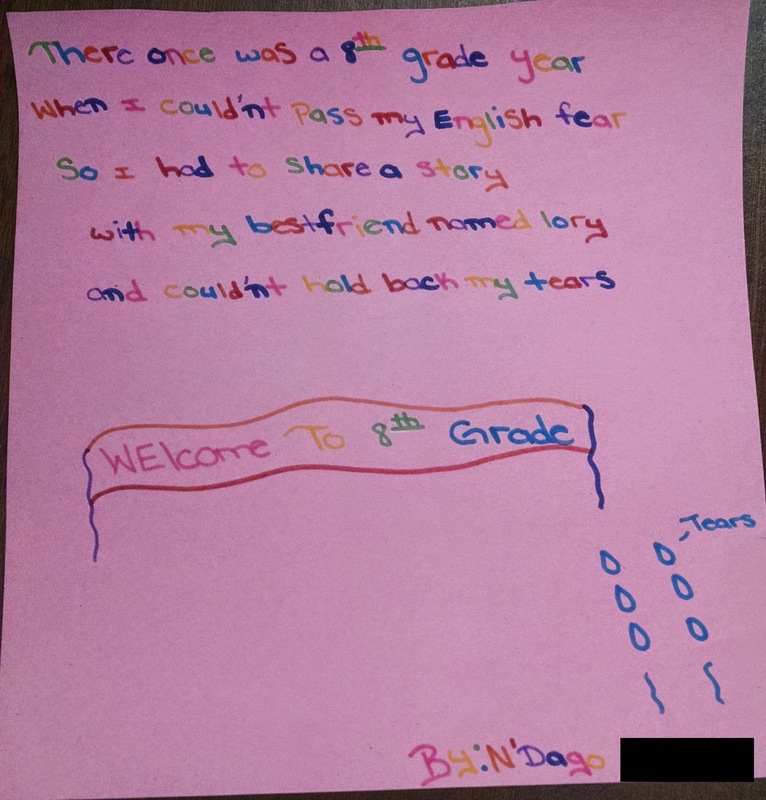 Ballads are poems that tell a story and contain a rhyme scheme. 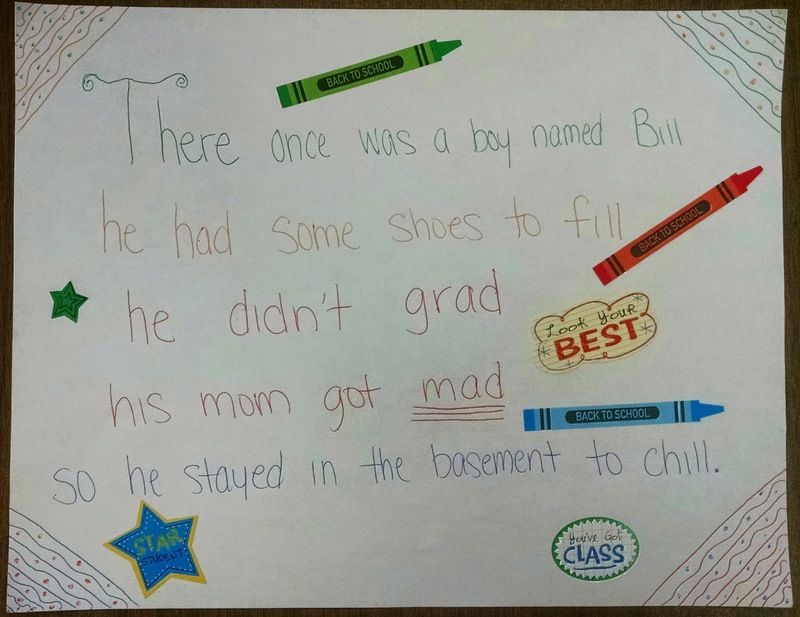 We used "The Fresh Prince of Bel Air" theme to introduce ballad, and our examples used the same rhyme scheme and format. 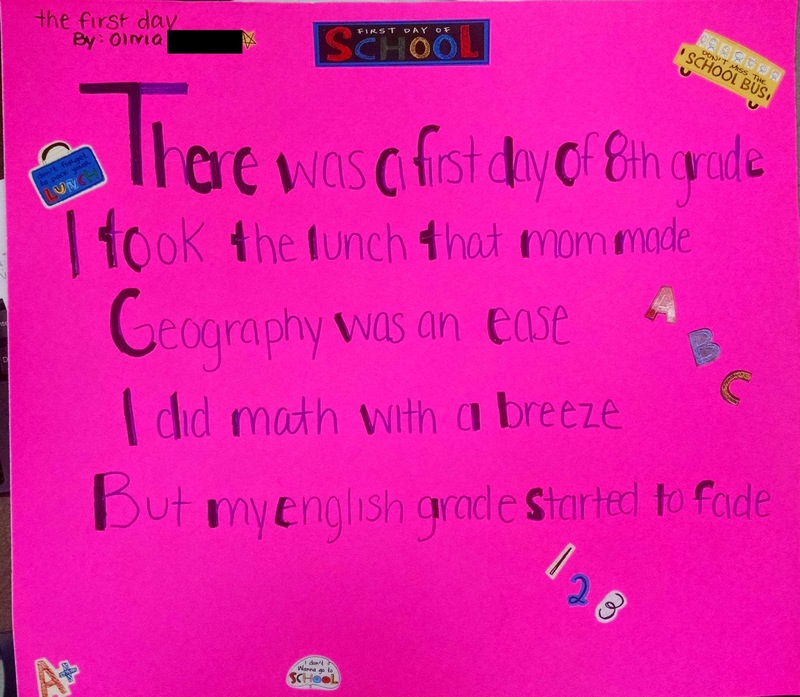 Students loved it! 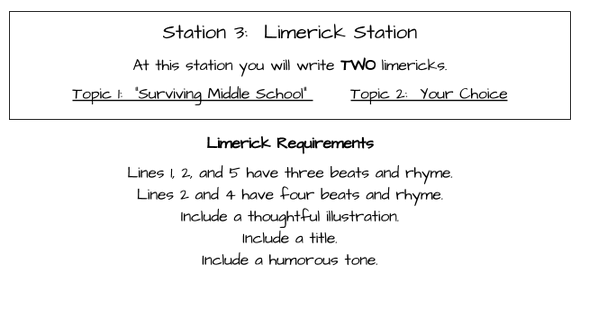 Since limericks aren't nearly as tedious to create, this station requires that students compose two. 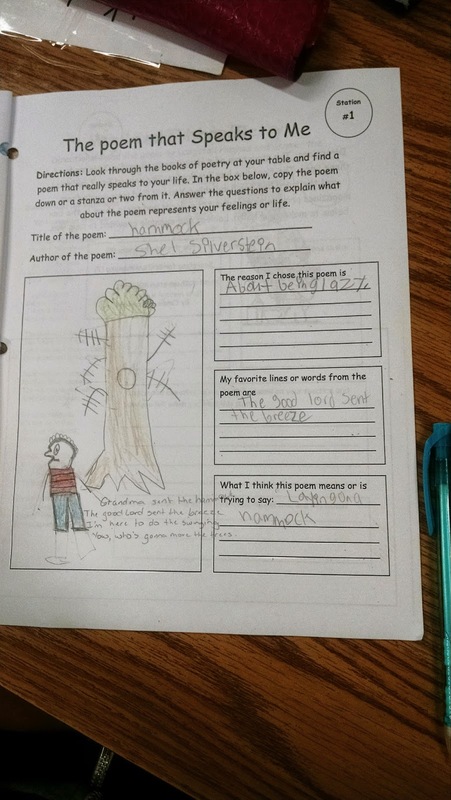 We assigned one topic (very broad) and let them write the second on a topic of their choice. 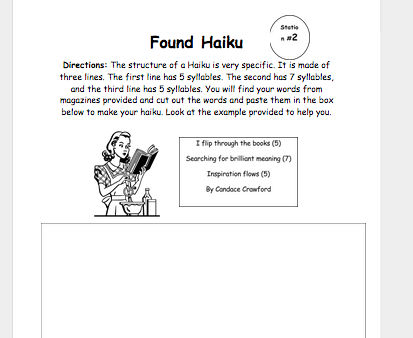 We merged the free verse and the imagery poems into one activity. 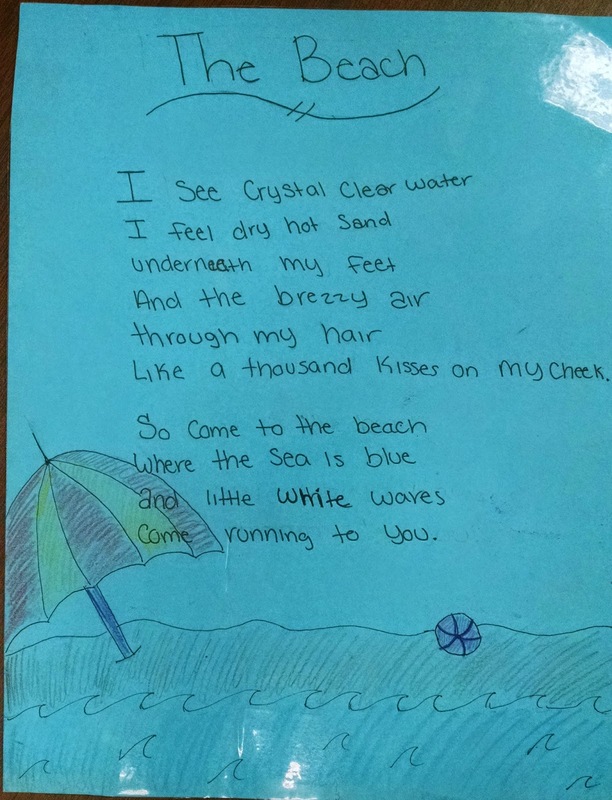 Students must incorporate sensory images to describe a place (of their choice) using free verse. 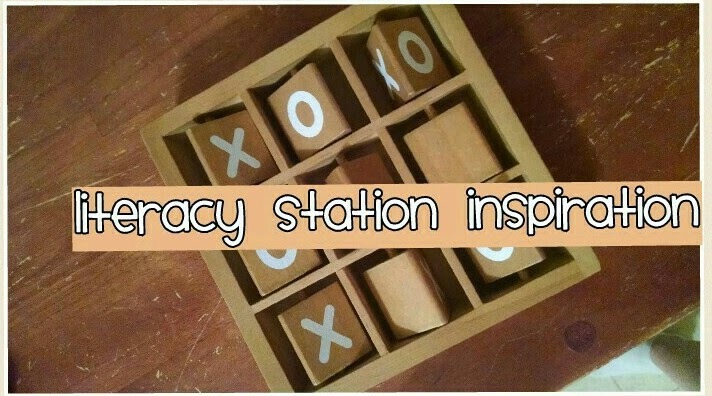 We adapted this station to a) use printed pictures for them to describe and b) put out an assortment of tangible objects for inspiration of a place. 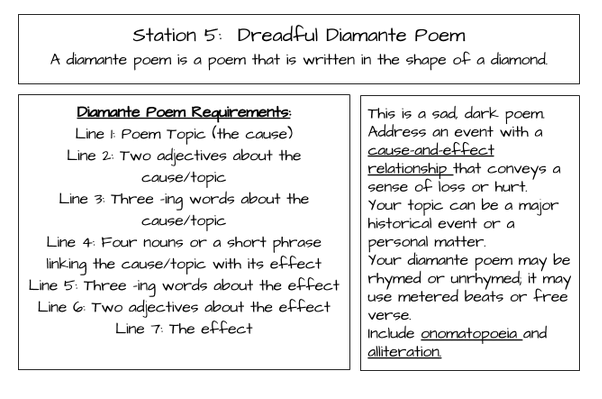 To incorporate a station activity that focused on a non-humorous mood and tone, we created the Dreadful Diamante Poem station. 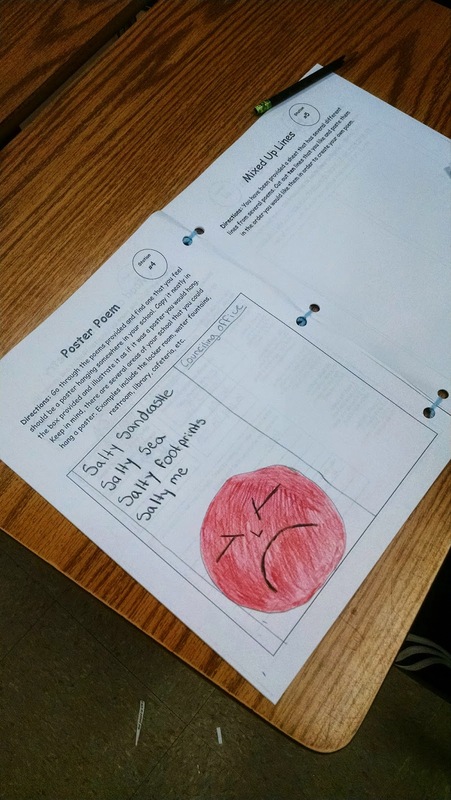 This station includes cause-and-effect relationships, parts of speech, alliteration, onomatopoeia, and word choice that conveys a sense of hurt or loss. 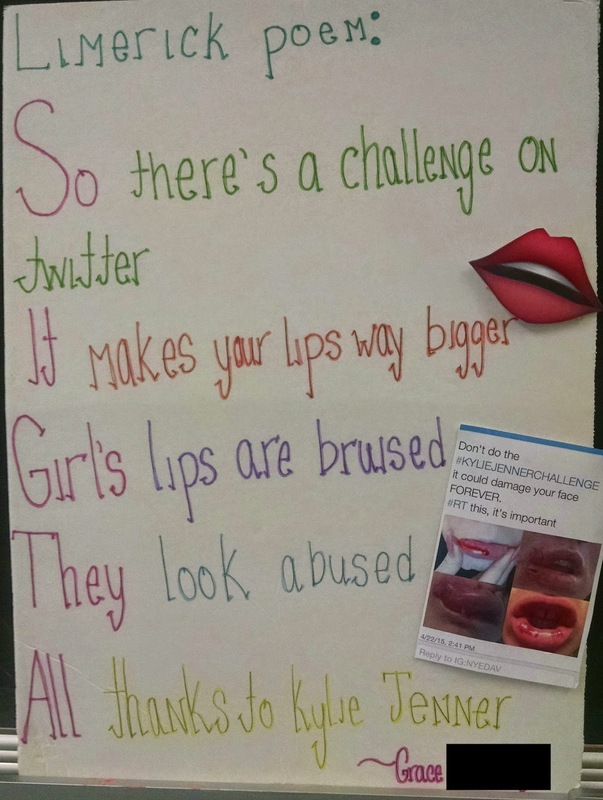 Don't stop scrolling just yet! 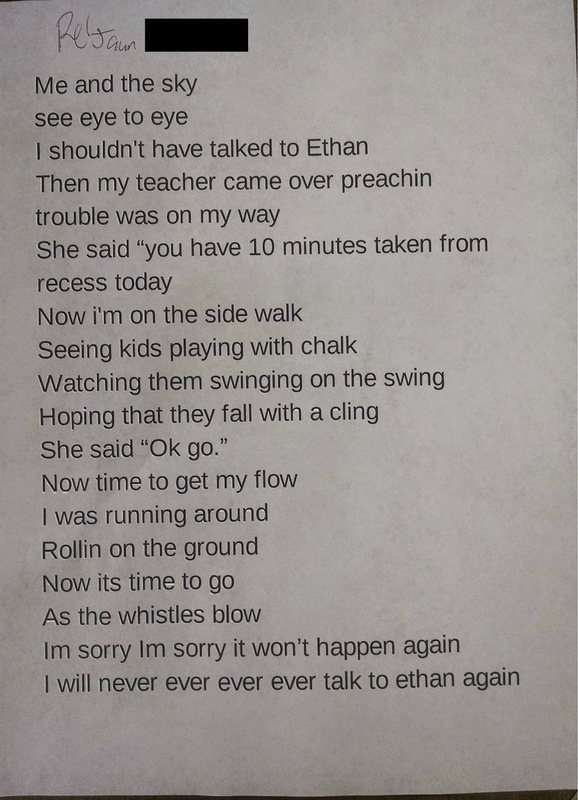 We're not finished! 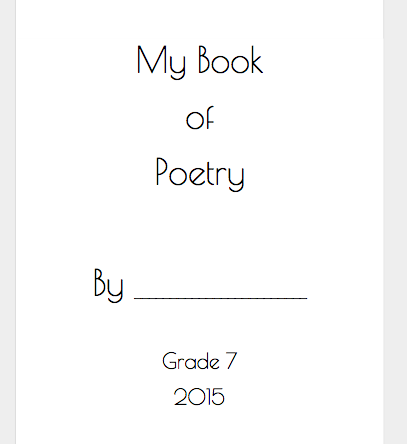 Here is ANOTHER book of poetry stations that focuses on more tactile activities than the writing activities above. 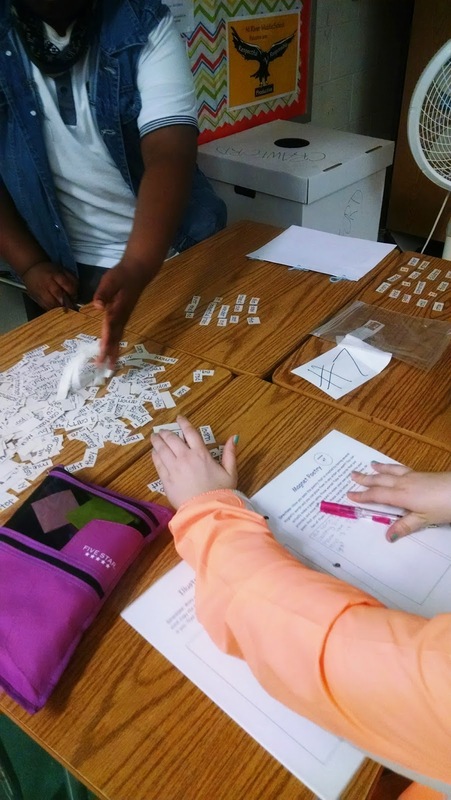 Mix and match stations to accommodate the needs of your students! 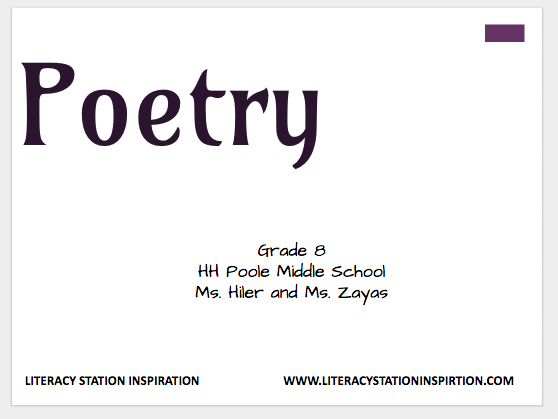 Click to Download More Poetry Stations! 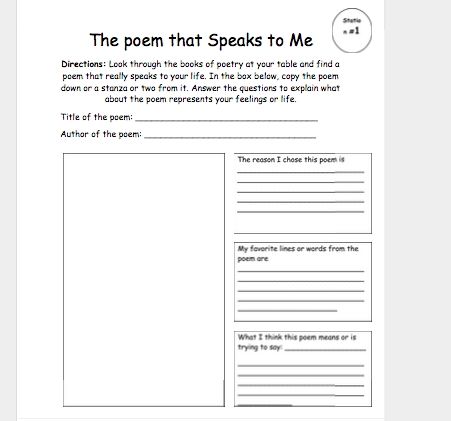 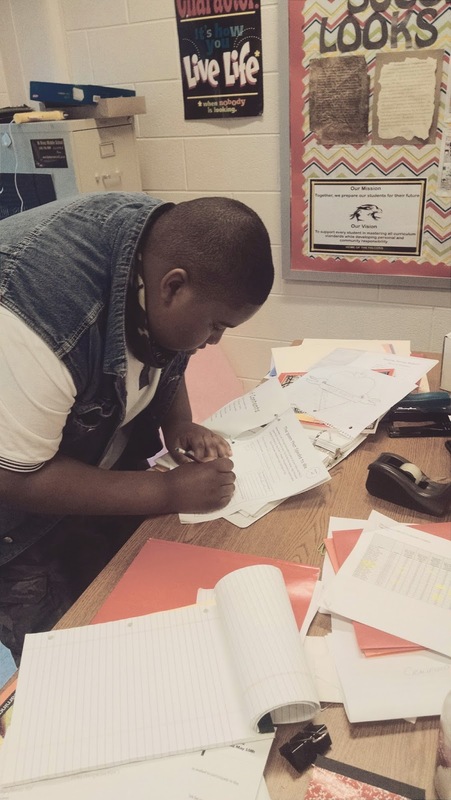 "A Poem that Speaks to Me" gives students the opportunity to flip through authentic texts of short poems and make a connection to an author's message. 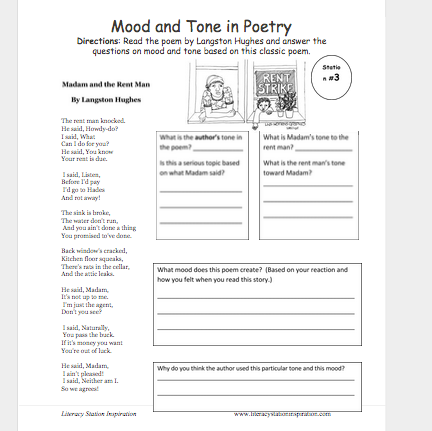 The "Mood and Tone in Poetry" station instructs students to analyze the Langston Hughes poem Madam and the Rent Man. 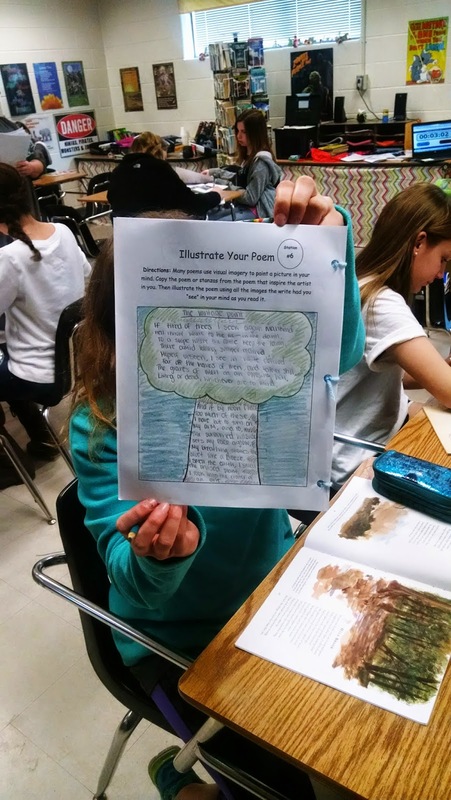 It is imperative that students understand how an author's word choice convey his tone, create a mood, and address a target audience. 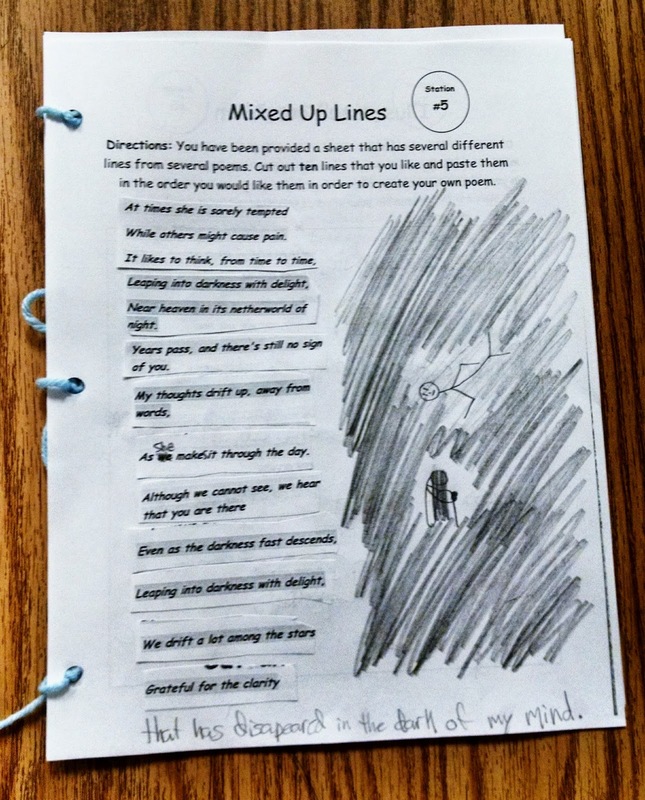 In the "Mixed Up Lines" station, students have sheets with a variety of poetic lines, including imagery, similes, idioms, metaphors, and lines that incorporate poetic devices. 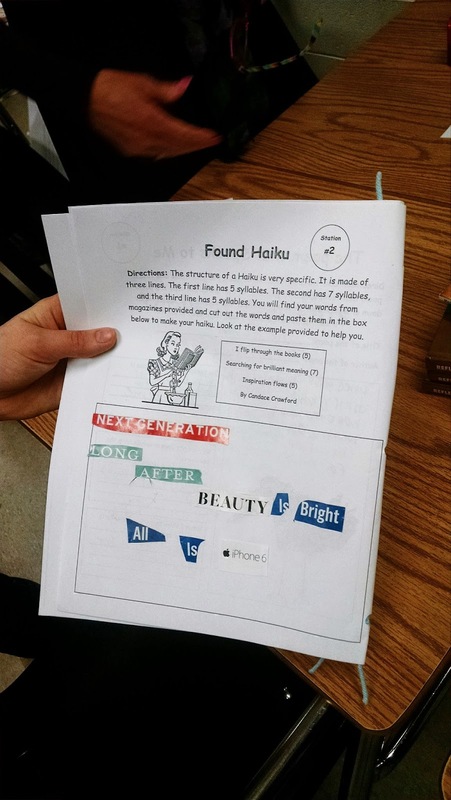 Much like the "found poems," students create their own poems using the pre-written lines. 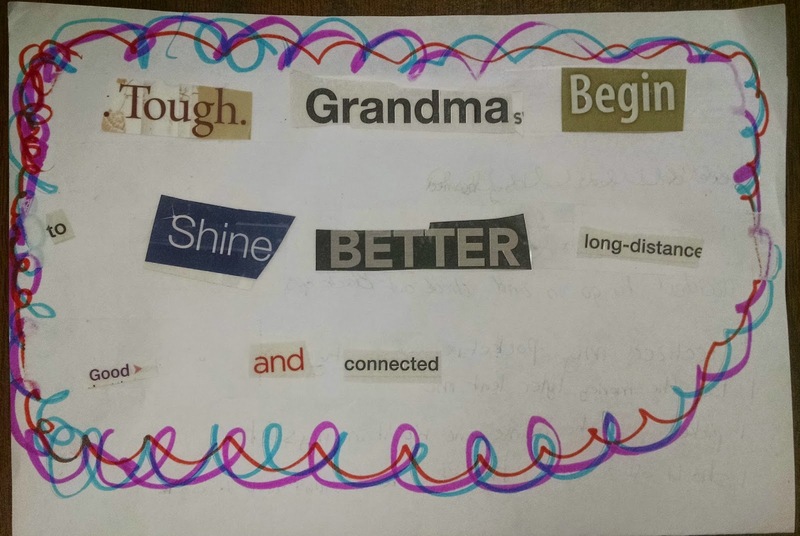 Magnetic Poetry station in action. 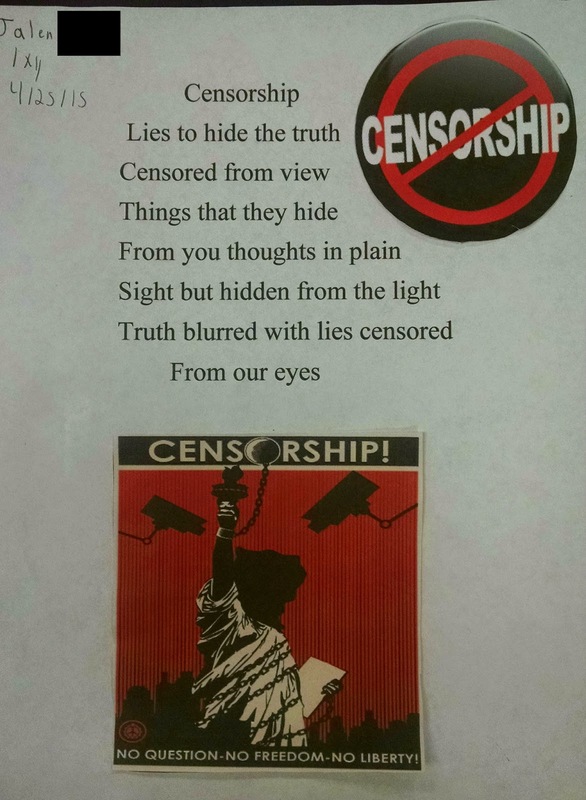 Imagery Free Verse Student Sample. 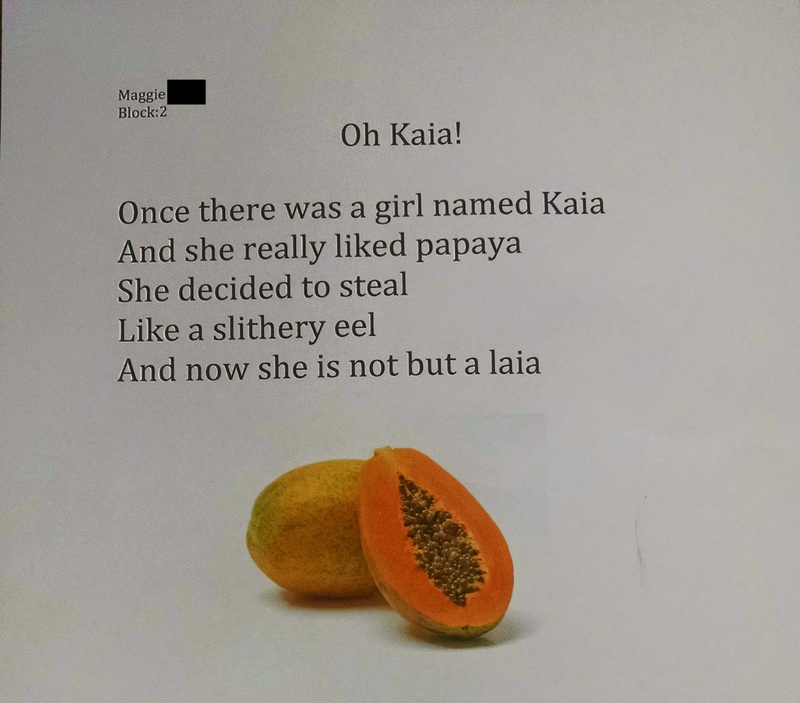 The Found Haiku is a student favorite. 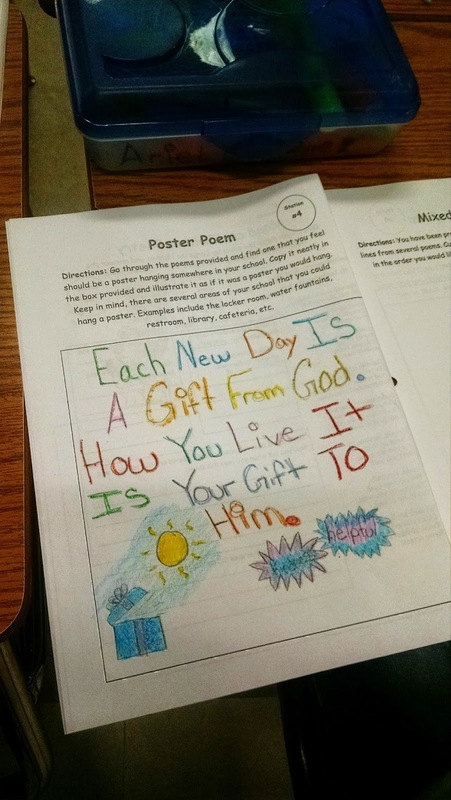 Students are proud of their station creations! 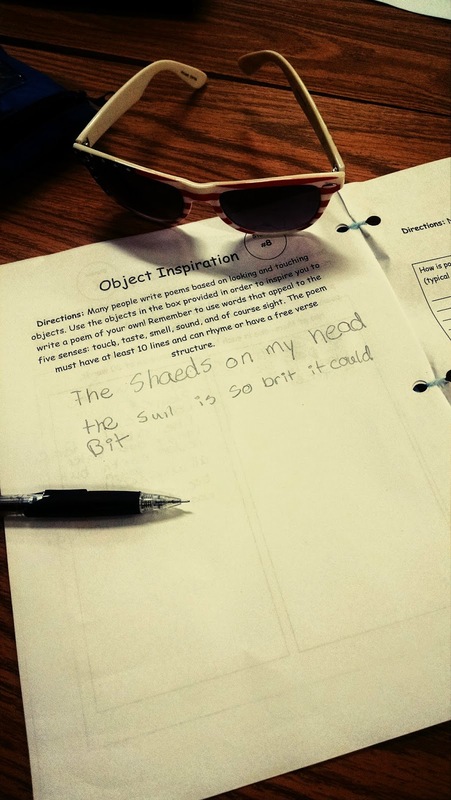 Using tangible objects for station inspiration is great for kinesthetic learners. 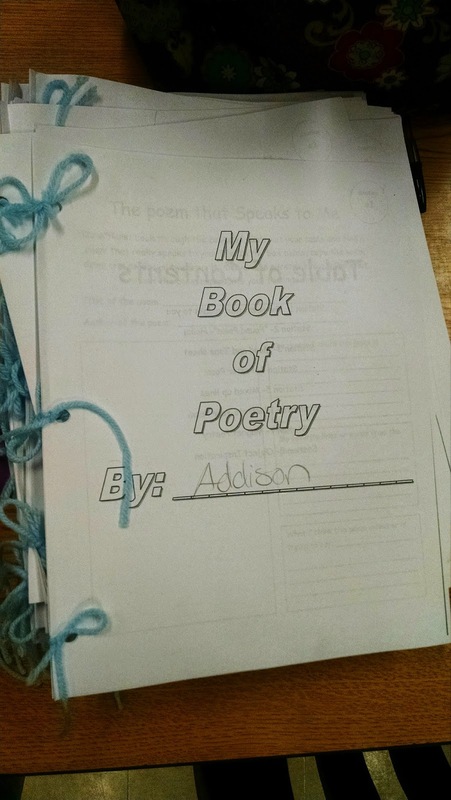 Which poem "speaks" to you? 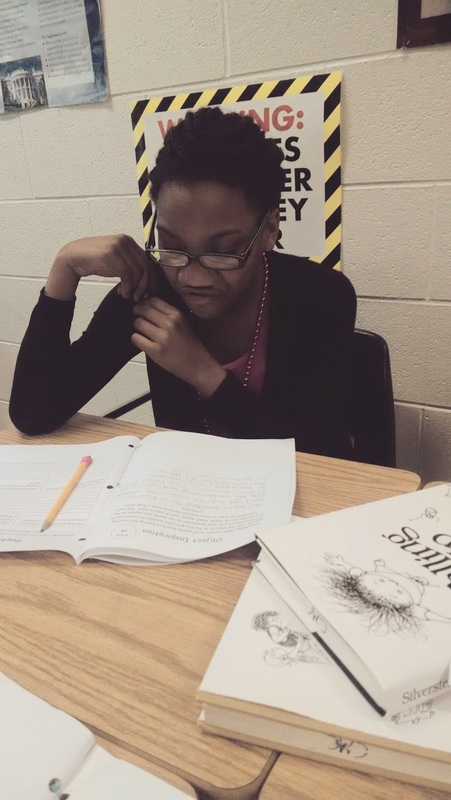 Get a look at this blog where you find lots of cool articles on related topics from top-writers.